We are a reckoned company in the market and are instrumental in providing a premium quality range ofAgriculture Kudaali to clients. We are expert in dealing in Agriculture Tools. With several years of experience in this domain, we are indulged in providing a flawless quality range of Agricultural Shovel to our clients. This Agricultural Shovel is used in agricultural sector for moving and lifting of soil. To attain maximum client satisfaction, we offer these products at most affordable rates. SITCO makes you available with superior quality Rakes. Rake is horticultural equipment having a toothed bar that is fixed across a handle. With enriched market experience, we have been able to offer a wide spectrum of Bagging Hook. We are counted as a leading manufacturer of varied range of Agriculture Tools. These products are fabricated using high quality raw material and sophisticated technology. Our range is widely used in Agricultural industry for diverse applications. Moreover, we also provide our clients with customized products to suit their specific requirements. 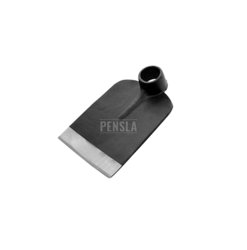 With rich industrial experience and knowledge we are involved in offering an extensive range of plastic Handle Sickle. These are self sharpening and are highly acclaimed for their durability. Offered products are developed using advanced methods and best quality raw material which is procured form the leading suppliers of the industry.